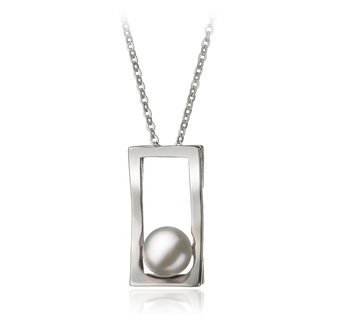 Elegant and classy, this slightly wavy rectangle pendant shows a style of its own in a contemporary way. 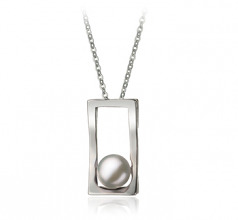 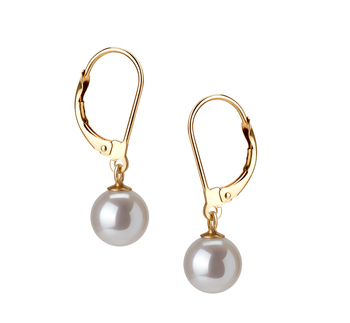 The medium white pearl has glided to the bottom of its core and burrowed itself a comfortable space to rest. 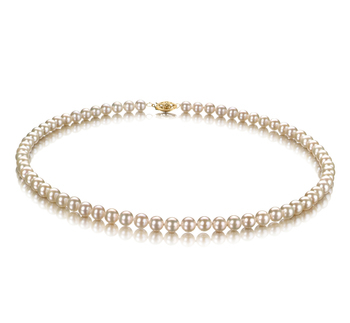 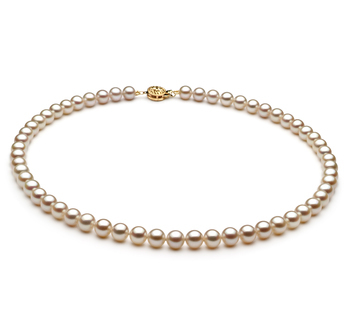 It’s notched a path for itself within this spot to showcase its (AA) round status among other pearls and likens its sheer surface to a brilliant and shinning snow. 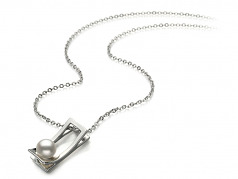 The near perfect mirror like luster captures the surface of the 7-8mm pearl and casts the brilliant sheen onto the white bronze metal of the rectangle skyscraper it calls home. 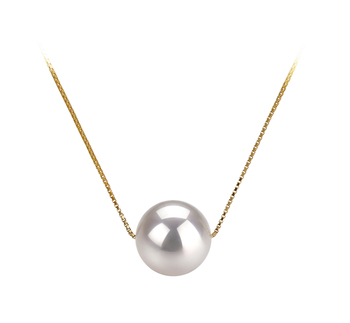 They make their magic together on a 17 innecklace that lies perfectly along your neckline. 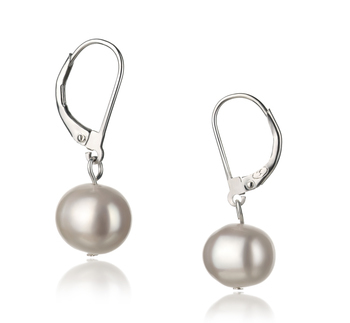 The class and elegance of this piece makes it an excellent choice for any event or occasion from casual to formal.